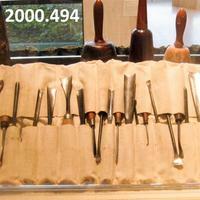 Several wood carving tools in canvas pouch displayed in main gallery. 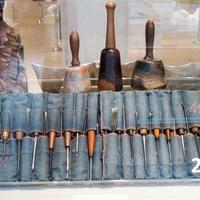 28 wood carving tools in canvas pouch. Displayed in main gallery.